Epirrhoe molluginata is a moth of the Geometridae family. 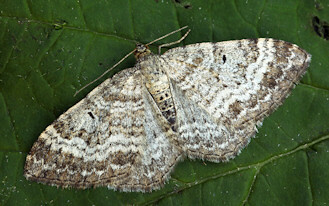 The wingspan is about 23-27 mm. Adults are on wing from May to July. The larvae feed on Galium species, including Galium mollugo and Galium sylvaticum. The species overwinters as a pupa. It is found from the southern part of central Europe to the Caucasus.